The images in the eBay listing showed a very clean and complete Dodge Challenger, but there were signs of rust that worried me. I ended up winning the auction but I refused to send the owner money until I saw the car in person. The auction ended on a Wednesday and the seller wanted payment in full in 3 days, so I hopped a flight from Los Angeles to Denver on Friday afternoon, where my dad picked me up at the airport and we drove on to Lincoln, Nebraska to meet the seller on Saturday. The car arrived on a trailer, but the owner started it immediately and unloaded it. I inspected the Dodge to confirm it still had its original drivetrain (it did) and, better still, the light rust visible in the eBay ad turned out to be light rust in reality. There were a couple small spots behind the front and rear wheel wells, yet the trunk, floors, rocker panels and wheel wells themselves were fine. 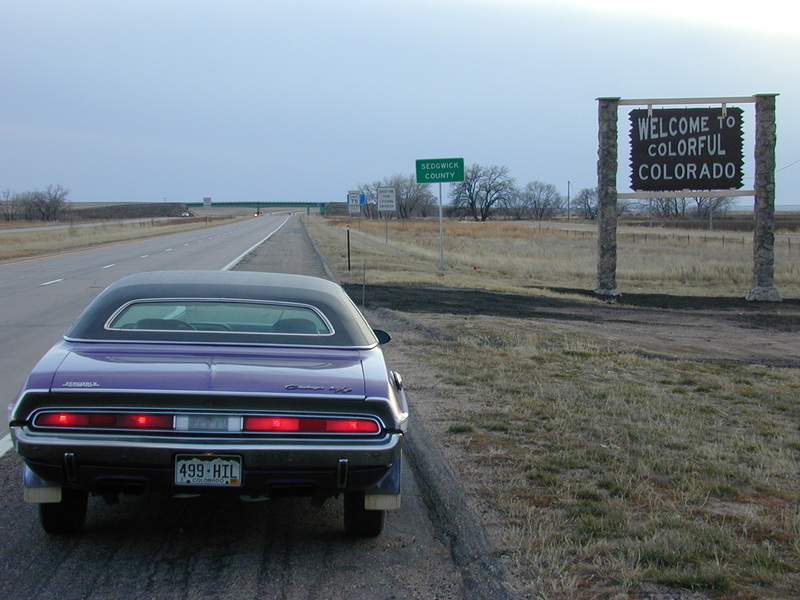 After paying the owner and tuning the carburetor I hopped in and drove the Challenger 500 miles back to Denver, Colorado. I ran out of gas in the eastern suburbs of Denver because the fuel gauge didn’t work, but otherwise the trip was trouble free. Actually, it was better than trouble free, because this Challenger R/T SE had all its original front end and steering components. 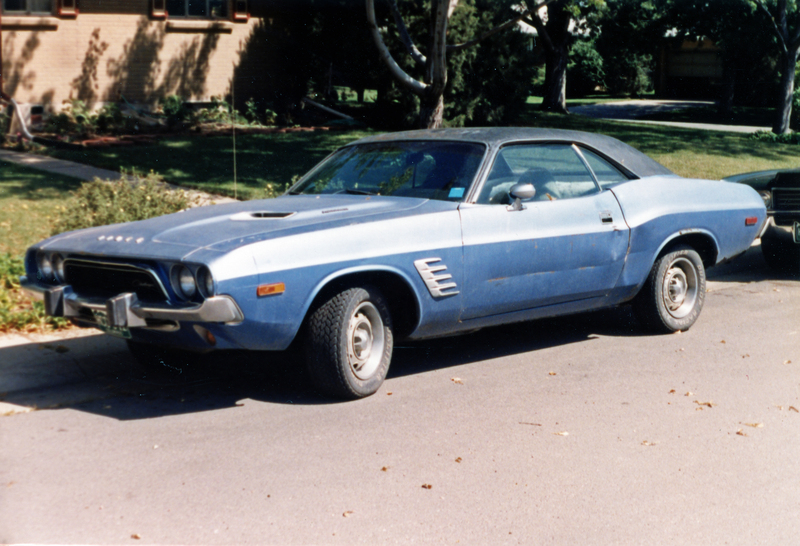 Despite having 108,000 miles on the odometer the Challenger drove better than any previous Mopar muscle car I’d ever owned, including my two-owner 1970 Plymouth GTX that only had 83,000 miles when I bought it. 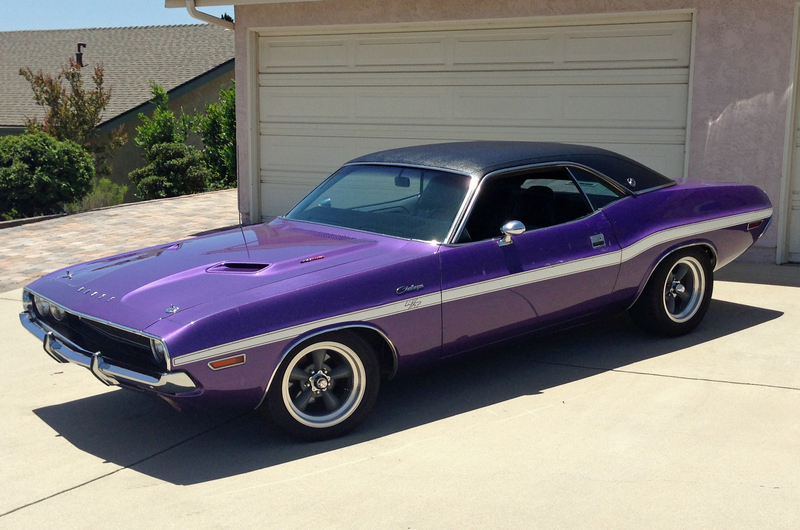 By the time I got to Denver I was fully infatuated with this beautiful Plum Crazy 1970 Dodge Challenger R/T SE. I left it in Denver where some friends and Mopar experts went through it, replacing every service item including engine oil, coolant, brake fluid, all filters and spark plugs. They also fixed the fuel gauge. 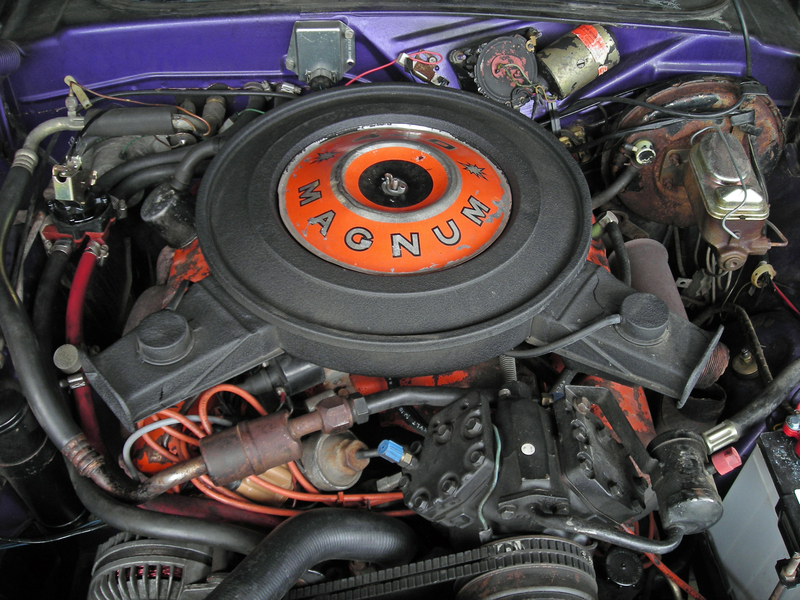 The owner told me the Challenger sat in recent years before I bought it, and I could tell it needed some basic TLC. A couple weeks later I flew back to Denver and drove the Challenger to Los Angeles. My friends in Denver had suggested I replace the fuel tank and fuel lines because there was a bunch of dirt and rust in the fuel system. I didn’t listen, and quickly realized the car would stumble when floored unless it was below a half tank, at which point it would stumble at any time you hit the throttle. I limped it to Los Angeles under light throttle, filling it up every 100 miles or so, and planned to have the fuel system completely replaced. 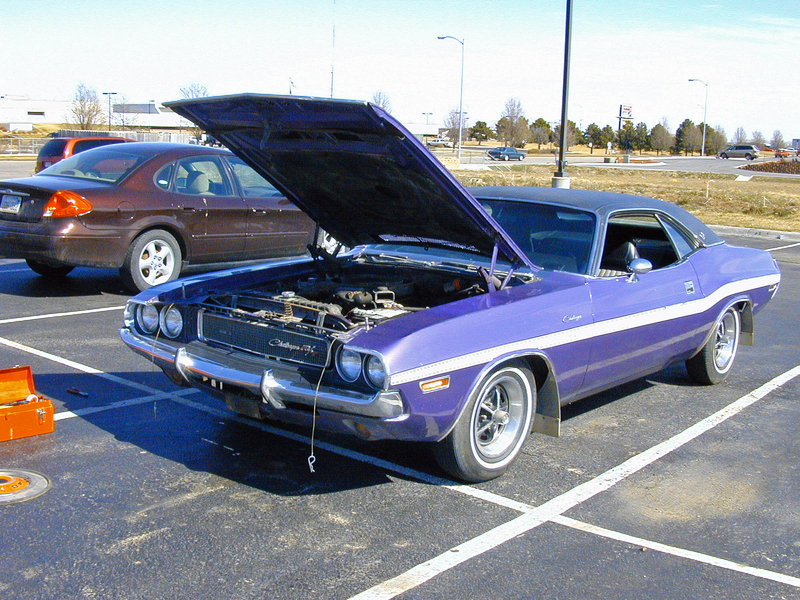 Over the next year I had the Challenger repainted below the horizontal R/T stripe, but I kept the stripe and paint above it original because it was still in great shape. 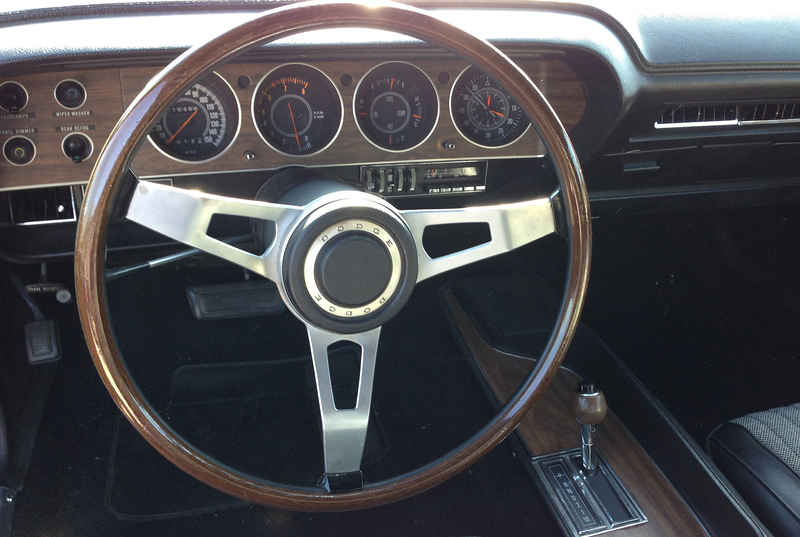 The vinyl top, dash pad, seats and headliner were also all original and in great shape. 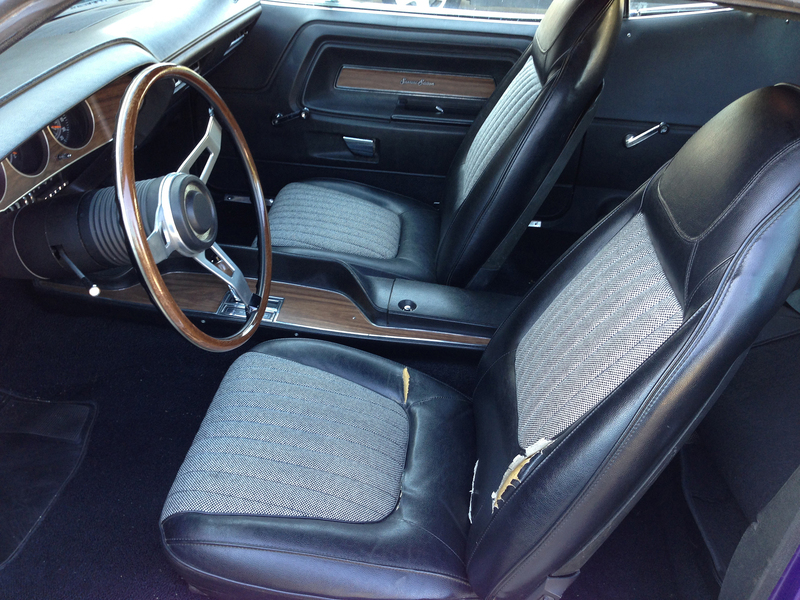 I did replace the carpet because it was pretty threadbare, but otherwise I kept the car as original as possible. I also made a couple mechanical upgrades because it greatly increased the Dodge’s drivability (and safety) while being easy to reverse if I or a future owner ever wanted to. Despite all of the option on this Challenger R/T SE it still had front drum brakes that were pretty weak. 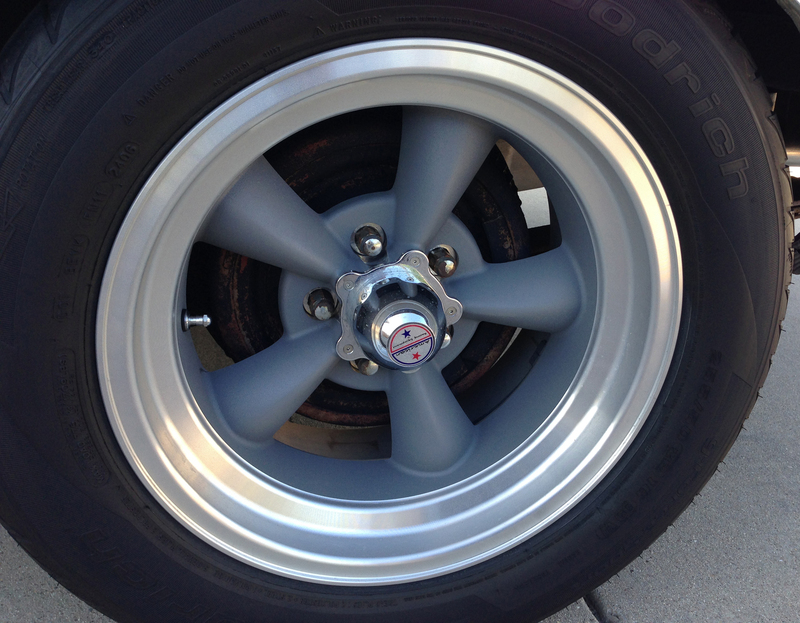 I had it covered to disc brakes, which greatly improved its stopping power. I also converted it to electronic ignition to improve performance and fuel efficiency. Finally, I pulled the original, 14×5.5-inch factory road wheels and put them in a safe place, replacing them with 16-inch American Torque Thrust D wheels. I had wanted to do this to my Plymouth GTX for 20 years but never got around to it. I refused to let that happen with the Challenger. 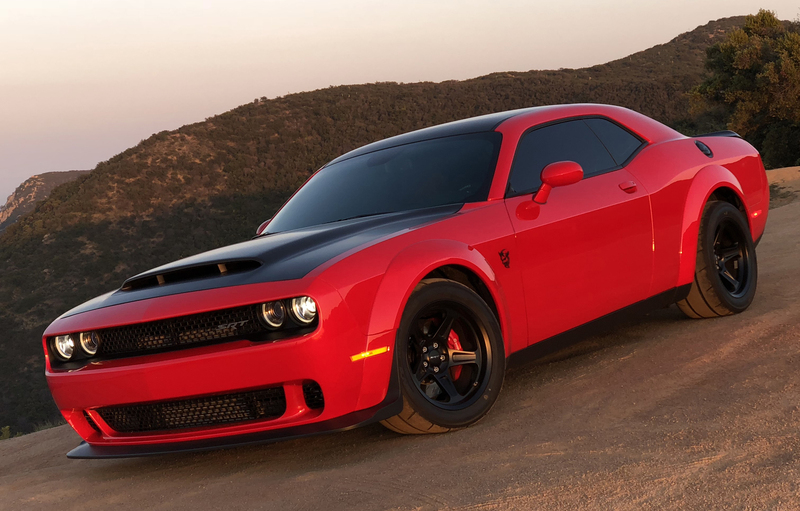 I knew that wheel style would look fabulous on my Dodge, but even I was surprised how dramatically they transformed the Challenger’s appearance. At that point the car looked better than any Mopar I’d ever owned, and as good as any vintage Mopar I’d ever seen. It was the best driving and handling vintage Mopar I’d ever experienced. 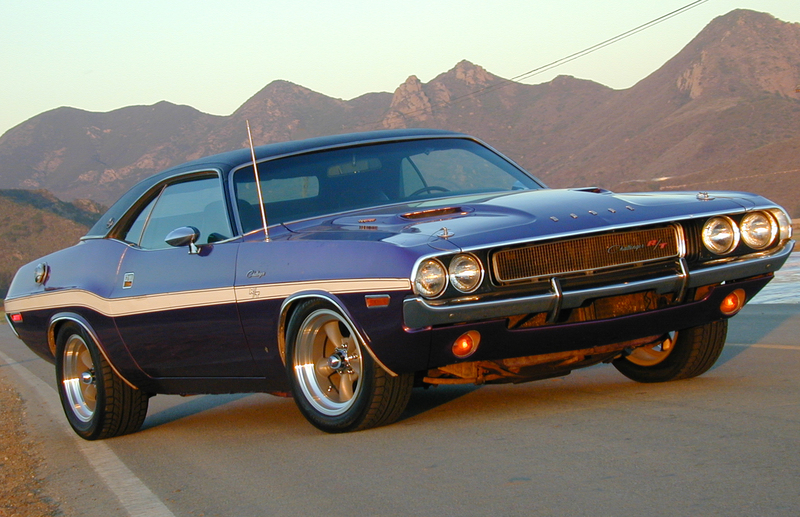 Over the next 8 years I drove that 1970 Dodge Challenger R/T SE about 1,000 miles a year. It was generally quite dependable, though it developed an overheating problem that had me stumped until I realized the fan clutch had failed. I always wanted to put a Sure-Grip limited slip differential in but never got around to it. I didn’t plan on ever letting the Challenger go, then in 2013 I changed jobs and that required a move to a new house. I was able to keep my previous house, which I really wanted to keep, by selling two vehicles. One was this Dodge Challenger, the other was a motorcycle I’ll be featuring next week on Two-Wheel Tuesday. Next Post:My 2019 Ford GT Carbon Series Has Arrived!